The absolute best part of being a member of Handmade in KC is meeting all the amazingly talents artists in our community. I am so excited to introduce to one of our newest members to you all! 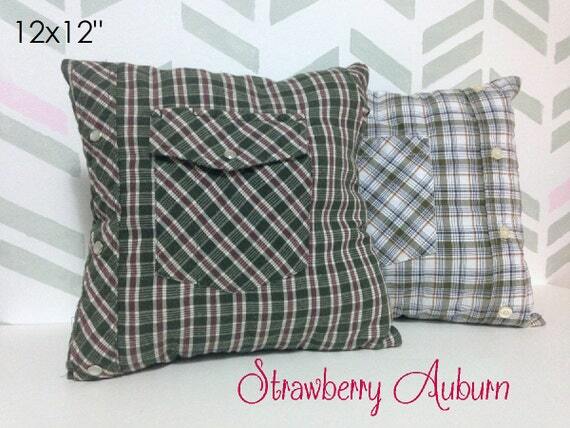 Nancy Mueller is the creative mind and hands behind Strawberry Auburn, specializing in quilted home essentials from repurposed fabrics. I grew up near Detroit in a small city called Pontiac. I have a younger sister and an older half brother. My dad passed away the year I graduated high school 2003 from a stroke at the age of 93. No that’s not a typo, my dad was older, obviously! He was a huge Reagan supporter, that’s why I was named Nancy. He worked for GM most of his life, but he was already retired by the time he met my mom. There was 40 years difference between the two of them, but that didn’t stop them. My mom was a beautician and did well for herself. She left her job when they got married and they lived off of his retirement. I never knew a time when my parents weren’t around. They were very resourceful people. My parents grew a vegetable garden every summer. They enjoyed collaborative woodworking projects together. My dad had a workshop in the garage and ran his own business sharpening saws and blades. He called it Maier’s Saws. My mom continued to take beauty clients in our home. She loved sewing and made most of our clothes and all of our fancy dresses for special occasions. I picked up sewing just from watching her over the years. I made a few of my own clothes in high school but didn’t fall in love with it. Instead I gravitated towards the fine arts and majored in drawing during high school. Try as I might I just didn’t see my affinity for drawing realism forging a career path for me. I skipped college and went straight to work. I had several odd jobs working in retail, restaurants, warehouses, and at a data entry desk job. None of those things peaked my interest but I did always find myself assuming leadership positions in each job I took on. I knew that one day I would be the boss somewhere I just didn’t know at the time that there was a possibility that I could be my own boss! The short version: My husband. The long version: I met my husband in Michigan. He was only in town for 6 months and his job just happened to transfer him to the location I was working at. We were drawn to each other and quickly became inseparable. Soon after he made his return to central Texas I had to follow him. We were married a year after that. His daughter lives with her mom full time. When she remarried her new husband relocated them to Smithville, MO. Hannah was only 6 at the time. We had no choice but to follow. We ended up in the KC Northland and fell in love with this great city! I am a city girl. Central Texas was not my ideal way of life. Kansas City just feels like the best of both city life, suburban life and a little bit of country. I landed a job at a local non-profit and the experience there gave me a heart for working with repurposed materials. There is SO much waste in this world, the repurposing movement swept me off my feet and I just had to contribute. So I called on those ancient sewing skills I unwittingly acquired in my youth and started tearing apart outdated clothing items and making new things with them. That’s when I realized I had a great idea. I wanted to make new things from outdated things. I was all over the place with my vreations. From baskets to jackets, to bags, and greeting cards. I was upcycling those dated cargo style pants and putting old newspapers to good use. Tell me about when your started to make your current product line! It was March of 2014 when I officially opened my Etsy store. I stocked it with the above mentioned items. But I quickly realized that a smattering of random products wasn’t working for me, and again making clothes just wasn’t IT for me. 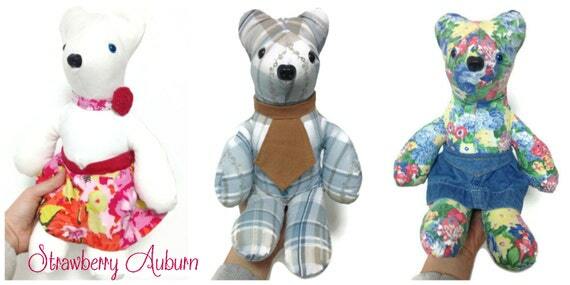 Since then I found my passion in creating memory quilts, memory pillows, and memory bears from upcycled clothing and cloth items such as tshirts, baby clothes, wedding dresses and more! 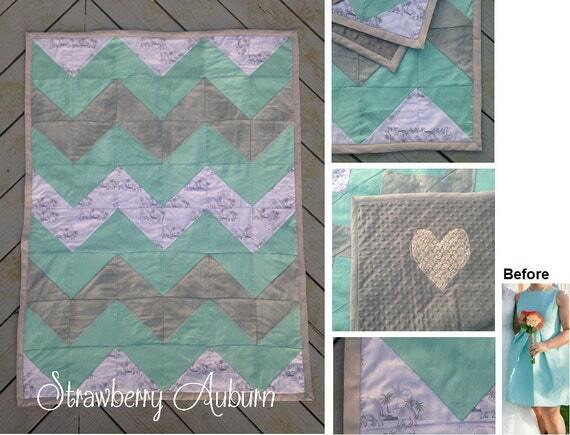 My most popular item is the Bridesmaid Dress Baby Quilt. It’s a very sentimental gift to give to your friend who you stood up for at their wedding. Now that your friend is expecting a baby, this quilt is a great way to tie the celebration of an expanding family back to the day that the journey of family began! I have several styles available and I can accommodate a never ending array of coordinating colors and themes! I do my best to look at each quilt commisiion with fresh eyes. I talk to my customer about what the clothing items mean to them and ask about favorite hobbies, colors, etc. I look around for coordinating fabrics and give the cutomer a few options to choose from. I stay in contact with my customers throughout the creating process to ensure that they love their finished quilt, it’s a very intimate experience in a lot of ways. I frequently get to learn a lot about my customers and their family members. My customers are my inspiration! The stories I get to hear and the sentiment and healing that my products bring to their recipient is more than enough to keep me fueled and ready for the next order! What motivates you to keep going when things get tough? Knowing that I get to do what I love and that I am impacting the world in so many ways is what keeps me going. When Hannah sees me working cheerfully to build my business up I know I am showing her that she has an unlimited future available to her. These days she has her own sewing machine and is slowly learning how to sew new items for herself! What is the hardest lesson you've learned so far? It’s an ongoing lesson to value my skills accordingly, there is always something new to learn! 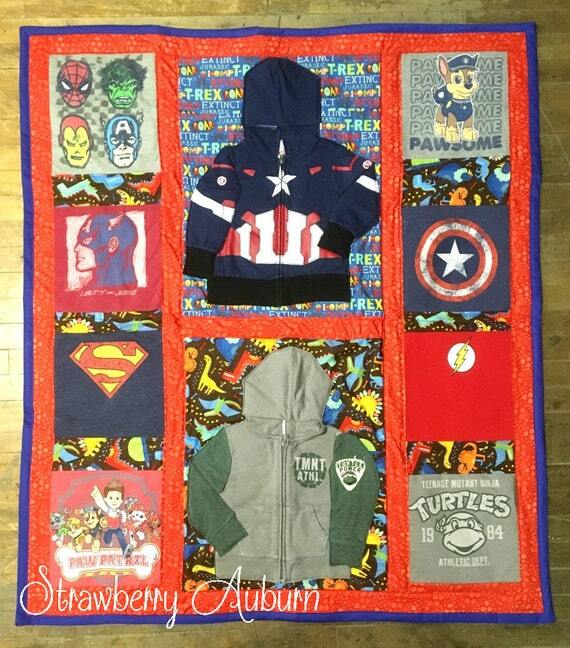 I have several quilts in the works at the moment! 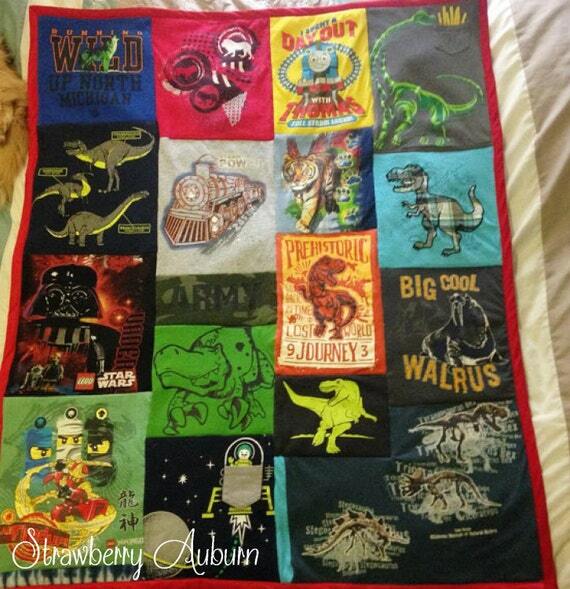 2 tshirt quilts, a boys baby clothes quilt and a crib quilt. How did you find out about Handmade in KC and what prompted you to join? I met a lovely lady who crafts excellent jellies and jams. She told me about the group of crafter she’s in involved with and encouraged me to look into it. 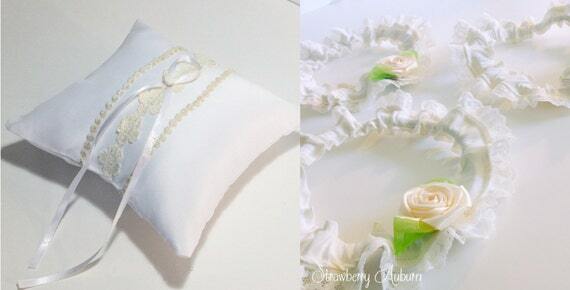 I would love to one day rely on my handmade business for my income. I am still working full time right now at that same non-profit! See more of Nancy's work! Thank you for supporting all of the Handmade in KC members and sharing our blog posts each Wednesday! !